Finally awakened to the fact that Canadians are deeply worried about the state of our environment, and global warming in particular, Prime Minister Stephen Harper and his cabinet are unleashing a blitz of announcements meant to evoke the same colourful imagery as the United States Army recruiting program, Operation Blue to Green. The first announcement came Wednesday when Environment Minister John Baird joined Minister of Natural Resources Gary Lund to launch the government's ecoEnergy Technology Initiative, a $230 million fund for research and development of clean-energy technologies. Today, the ministers are slated to announce a package to promote investment in renewable energy, such as wind power, which is expected to be followed by the unveiling as early as Sunday of new initiatives to support energy savings for homes and cars. All three programs are welcome additions to the Conservatives' modest arsenal of measures to fight climate change. The key point, though, is that they are all variants of policies introduced by the former Liberal government that were cancelled by Harper after he assumed power last January. True, these initiatives are better late than never. But they will have only a minimal impact on Canada's greenhouse gas emissions over next few years despite the urgent need for this country to halt the growth in emissions and to actually start reducing them. Harper admitted as much a few weeks ago when he said Canada was on track to exceed its emissions target under the Kyoto Protocol on climate change by a whopping 50 per cent by 2012. 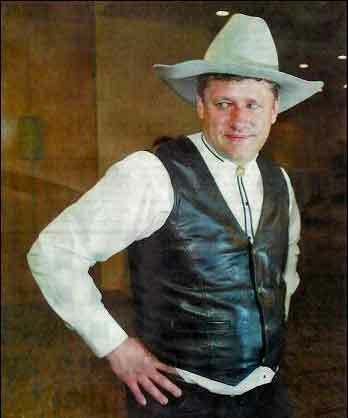 With his apparent readiness to live with that highly troubling projection, Harper revealed that his true colours are still very much Tory blue and not planet-friendly green. If there was any doubt about that, Lund dispelled it in Wednesday's announcement by confirming that the Conservatives' discredited Clean Air Act still "forms the backbone of the government's environmental plan." Repudiated by the three opposition parties, as well as by every major environmental group in the country, the Clean Air Act contains neither the sense of urgency needed to address climate change nor the teeth to effect real change for the next 20 years. While allowing the bill to go straight to committee last fall for further study in order to avoid its certain defeat in the House of Commons, Harper has steadfastly refused to say how far he is willing to go to amend the bill to turn it into a real tool to combat climate change. 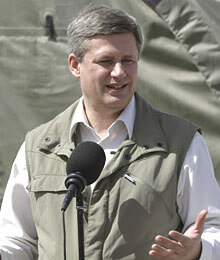 Until he does so, Harper's sudden conversion to environmentalism will remain suspect. If Harper hopes to persuade Canadians that he shares their concerns over climate change, he must order Baird to present the committee that is studying the bill with a set of sweeping amendments that will set hard and fast, near- and medium-term targets for emissions reductions. As well, Baird must approve the regulatory changes needed to meet those targets. In effect, Harper and Baird must table a new version of the Clean Air Act, one ambitious enough to bring about real cuts in emissions, thus making it next to impossible for opposition parties to vote it down. To do anything less would be tilting at windmills. And nice as they are, windmills by themselves won't do much to slow global warming. Allan Woods - February 10th 2007. OTTAWA–If Prime Minister Stephen Harper has nightmares after he tucks himself into bed at night, it is a safe bet it's his own words that come back to haunt him. 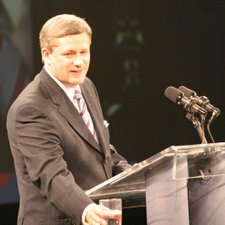 Both before and during his tenure in the country's political top job, such moves as his call to erect a "firewall" around Alberta, his promise not to tax income trusts and his endorsement of the 2003 U.S. invasion of Iraq have precipitated significant and very public climbdowns in the search for a Conservative lock on the reins of power. The haunting began again with the recent release of a Canadian Alliance fundraising letter, penned by Harper in 2002, decrying the Kyoto accord as a "socialist scheme." The Liberal opposition followed that up with the text of a Harper speech from the same year vowing to rescind Canada's Kyoto targets once in power. These revelations are not good at a time when the environment is the most pressing concern of Canadians, or when the international treaty is viewed – rightly or wrongly – as the most visible, structured and politically credible way to reduce greenhouse gas emissions. Nor is it good as the Prime Minister tries to build the case that Canadians should turn his minority government into a majority. But if Harper has his way, it will not be fatal. The Prime Minister appears to have overcome his apoplexy when the word "Kyoto" enters the conversation, and he is in the process of trying to figure his way out of the government's current bind. The government's program will include regulations, likely by month's end, on industrial polluters such as Ontario's coal-fired electricity plants and auto industry, and on petroleum producers in the Alberta oil sands. Just before last year's election campaign, Harper called the study of climate change an "emerging science." 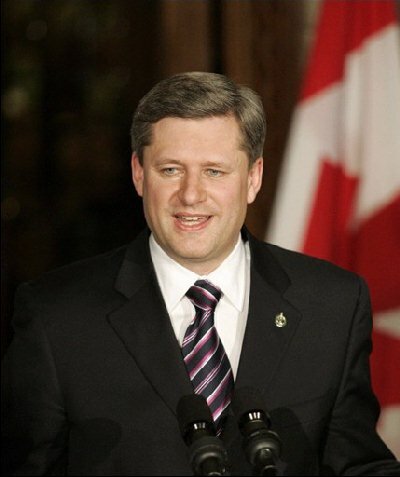 Last week, following the release of a UN scientific report compiling the evidence of climate change and painting a damning picture, Harper declared that "the science is clear." He has consistently maintained, though, that Canada's 2012 targets under the Kyoto treaty – to reduce greenhouse gases by 270 megatonnes to 6 per cent below 1990 levels – are unattainable, and that he has no intention of spending "billions of dollars of taxpayers' money" to meet them. Still, some observers predict Harper may go so far as to wrap himself in the Kyoto flag before this national and international debate has played itself out. That seeming transformation continued this week when Environment Minister John Baird said that the Conservatives have "no plans to get out of Kyoto." "If you compare where (the Conservatives) were at even one year ago to where they're at now and what they're saying now, they've come a long way," says Rick Smith of Environmental Defence, a Toronto-based organization. "In that sense, they've already demonstrated a receptivity to modifying their positions after they're in office." Taking the extra step to meet the 2012 target is a long shot, but Harper's health-care transformation of 2005 could provide a template, some say. Like Canada's attempts to hit its Kyoto targets, the state of the country's public-health system had been slipping away from the ideal for years. An aging population had strained the system and wait times for surgeries were almost Soviet-like in their duration. And, like the proponents of slapping a cap on oil-and-gas production – the largest source of both wealth and emissions – public health critics argued about the system's economic feasibility and the merits of the free market versus government intervention. Does the Kyoto prediction go too far? Ask those who gathered at Calgary's Telus Centre on April 29, 2005 for the annual general meeting of the Fraser Institute, Canada's right-wing think tank and Harper's cheering section. The man who, in 2002, said the Canada Health Act should be "opened up," stepped on to the stage as the Conservative party leader that afternoon and vowed that a Tory government would do nothing of the sort. Harper's Reform party predecessor, Preston Manning, and former Ontario premier Mike Harris had just released a report under the auspices of the Fraser Institute calling for the federal government to pull out of the health-care game. "With all the respect that I do have for this institute and for these individuals, I could not imagine a proposal that's more of a non-starter than that one," Harper told the crowd. "I will never compromise public health insurance in the country because it is the only system that most Canadian families, including my own family, have ever used." His health-care turnaround, correcting a glaring policy vulnerability, came in the weeks before what everyone expected would be a spring election. Senior party organizers were well aware of their weakness on the issue. They had been dealing with it for years. "We were heading into an election with the same old bogeyman there," says one party official. "We had to put that to bed." No sooner had Harper pronounced his radically reformed policy on health care than everyone – media, opposition parties and non-governmental organizations – stopped talking about it. "That's the way he does things," the official says of Harper. "His strategy is to find out his weakness and fix it by whatever means. You shut it down, you neutralize it, you overwhelm it. You do whatever needs to be done." So, too, goes the current Tory strategy on the environment, and it has sparked concern among Harper's traditional supporters. The cover of Western Standard, an unabashed right-wing publication, featured an illustration of the Prime Minister as the Incredible Hulk this week, and suggested he was "The Green Threat." On the other side of the spectrum, environmentalists are coming around to the argument that Harper has been making: that Canada's Kyoto targets can no longer be met through domestic actions alone. Optimists insist that a scenario whereby Canada buys credits from underdeveloped countries through Kyoto's emissions trading system to make up its shortfall and meet the targets is not far-fetched. This despite remarks from Baird that such a plan was a "crazy, risky scheme" that could cost Canadians billions and result in economic collapse on the scale of post-Soviet Russia. Pessimists point out that the government is already defaulting on some of the interim Kyoto requirements, such as a Dec. 31, 2006 deadline to submit what is known as a forest carbon budget that can be used to offset the calculation of emissions from industrial polluters. Coming up the middle of the Kyoto-no-Kyoto debate that has divided Parliament Hill is Ken Ogilvie, executive director of Pollution Probe. After an appearance this week before the Commons committee that is rewriting the government's Clean Air Act, he said all parties are putting the cart before the horse. It is more important, he said, to quickly put in place regulations for industrial polluters and the auto industry, and set energy-efficiency standards. "The real issue is to get these policy measures in place," he said. "Then, we'll look at what's left over. Then, we should talk about Kyoto." In the same vein, Smith of Environmental Defence adds that there is "no point in closing the door" to Kyoto five years in advance of the deadline. "It doesn't make any sense. We don't know where we're going to be in 2012." In the end, though, it could be the immediacy of the day-to-day politicking of the minority Parliament that has the final word on whether or not the Conservatives will complete their Kyoto conversion. The Liberals succeeded in passing a non-binding motion in the Commons this week calling on the government to "recommit" to Kyoto. Next week, MPs will vote on a private member's bill that some suggest will legally bind the government to meet Kyoto targets. Tyler Hamilton - February 10th 2007. Major players in the oil sands, under political pressure to reduce their greenhouse gas emissions, have quietly formed an industry-wide consortium to explore using heat in the Earth's crust as a clean alternative to natural gas. The consortium, called GeoPower in the Oil Sands, or GeoPOS, plans to drill an appraisal well to assess the heat potential of granite rock that lies 500 metres below the Earth's surface. If the required heat levels are found, an "enhanced geothermal system" could be built that supplies the hot water needed for extracting oil from the tarry sands – a job typically performed through the burning of natural gas. It could also deflate the nuclear industry's hope of building reactors in northern Alberta, an idea being pushed by the federal government and investigated by Husky Energy Inc. and France's Total SA. "We are a member of the GeoPower consortium," confirmed Shell Canada Ltd. spokesperson Janet Annesley. "Geothermal fits with our principles of sustainable development, in that there's a potential economic benefit, which is reducing our operating costs and dependence on natural gas, and (it) reduces our greenhouse gas emissions." Brad Bellows, a spokesperson for Suncor Energy Inc., said geothermal energy is "definitely" being looked at as a clean, long-term, and price-protected energy source for oil-sands production. The oil sands account for nearly a third of Alberta's natural gas consumption, and the amount used is expected to jump four-fold over the next 10 years as development of the oil sands gathers momentum. This dependence on natural gas has made the oil sands the fastest-growing source of greenhouse gas emissions in the country. Volatility of gas prices has also caused headaches for oil companies, which are exploring alternatives – including nuclear power – to give them greater price certainty. Michal Moore, a senior fellow at the University of Calgary's Institute for Sustainable Energy, Environment and Economy, said geothermal energy could be cost-competitive with nuclear power in about 15 years and would only require about $400 million in additional research and development. Like nuclear and unlike solar or wind power, geothermal provides a constant, predictable source of energy in the form of heat – used directly or to generate electricity. Another benefit is that geothermal energy releases virtually no airborne pollutants and there are no waste-disposal and security concerns like with nuclear power. It's also Kyoto-friendly. According to Natural Resources Canada, new geothermal facilities emit 0.1 kilograms of carbon per megawatt hour of generated electricity, compared with 185 kilograms of carbon for a coal-fired plant. They also outperform coal and nuclear plants in terms of reliability. "If you think long term on this, the oil sands are a security issue for North America," said Moore, a former chief economist with the U.S. National Renewable Energy Laboratory and past commissioner at the California Energy Commission. "To the extent we can diminish the impact of accessing the oil sands, through advanced in situ techniques combined with cutting the reliance on natural gas, it gives Canada a tremendous competitive advantage in the future." Moore spent the last 17 months as part of an 18-person expert panel, led by the Massachusetts Institute of Technology, looking at the potential for tapping geothermal energy in the United States. Specifically, the panel studied enhanced geothermal systems that can tap high temperatures up to five kilometres below the Earth's crust. The heat can be used on its own for district heating and oil-sands production, or turned into steam for electricity generation. "On the whole, this is about as clean a power supply as you're going to get," Moore said. Geothermal power generation is common in California, Hawaii, Nevada and volcanic countries such as Iceland, where the heat is closer to the surface and easier to tap. Western GeoPower Corp. is the only company developing geothermal power in Canada, at a site about 170 kilometres north of Vancouver. Geothermal power is generated from heat of 80C to 200C, deep in the Earth's crust, and is not the same as ground-source heat pumps or "geo-exchange" systems, which use constant temperatures just a few metres below the Earth's surface to assist in heating and cooling buildings. "It doesn't take much extrapolation to show that the deeper you go, no matter where you drill, you will encounter 250-degree temperatures," said Moore, adding that even Ontario could one day be replacing its nuclear plants with geothermal plants. "The power supply should exist just about any place, if you go deep enough." The MIT-led report, released in January, concluded that there are no technical barriers or limitations to tapping enough heat in the Earth to generate 100,000 megawatts of power-generating capacity in the United States by 2050. Add Canada's geography to the mix and the figure would more than double – roughly equivalent to 200 large nuclear reactors. Geothermal expert Susan Petty, founder of geopower consulting firm Black Mountain Technology of Seattle, sat on the MIT panel and said Canadian oil companies could easily apply their drilling expertise and geological engineering base to geothermal development in their own backyard. She urged Ottawa to create its own expert panel that would build on the findings of the MIT group. Having already reached drilling depths exceeding 6,000 metres, where rock is hot enough to produce power, the oil industry is a natural fit for geothermal energy. 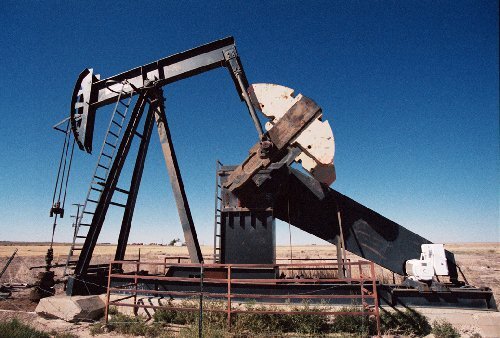 "The biggest problems we have right now are not drilling the wells," Petty said. "It's making the fractures (in the rock) that would allow you to extract (heat) energy." Geothermal plants work by pumping cold water into a deep well and exposing it to the hot rock below. The water absorbs the heat and is pumped back to the surface, where the hot water or steam is used as required. For this process to work, the rock has to be porous enough so water can flow through it and absorb as much of the heat as possible. If the rock is solid, cracks must be created by pumping water at high pressures and forcing fractures. Petty called technology advancements in this area "amazing." "When I started on the panel, I thought it was only economic now to do conventional geothermal. But when I looked at how far they'd gotten and how much the technology improved, I was convinced in the end that we could make it economic. "This isn't as complex as a nuclear plant," Petty added. "We know how to pump hot water, we know how to make holes in the ground, and we know how to use hot water to make electricity. We just need to do it better." Moore, meanwhile, hopes to publish two papers on the issue in academic journals this fall, after which he'll present his conclusions to the federal and Alberta governments, oil companies and anyone else who will listen. His thesis: There's plenty of heat three kilometres down and deeper to substitute the use of natural gas in the oil sands. "Canada is rich in opportunities," Moore said. "All the deep drillers we had who testified and gave information to the panel suggest this is workable, but you won't know if it works until you try it." Both Moore and Petty said the first couple of geothermal plants will be expensive – as were the first oil wells ever drilled – but the costs will fall as lessons are learned. Besides, they added, it's not as if nuclear plants, "clean coal" projects or other choices are any cheaper. For example, Sherritt International Corp. and the Ontario Teachers' Pension Plan recently outlined plans for a gasification facility southeast of Edmonton that would convert coal into synthetic gas for use in the oil sands. It will take at least five years to build at a projected cost of $1.5 billion. Whatever the chosen approach, it has become increasingly clear to some in the oil sands that something must be done. Daniel Yang, a reservoir engineer with Shell Canada, told an audience last month at a geothermal conference in Potsdam, Germany, that planned multi-billion-dollar expansions of oil-sands projects must address the issue of rising gas consumption and carbon-dioxide emissions. In an abstract of his presentation, Yang wrote that tapping the Earth's heat is an "ideal opportunity" because profitability of geothermal is "of secondary importance" in the face of rising environmental concerns. "Any level of heat supply is a success," he concluded. Richard Brennan - February 7th 2007. OTTAWA–The Conservative government ranks were under attack yesterday for staying in luxury hotels and flying high on the taxpayer's tab. For the second day, Liberals waved Access to Information documents detailing how Tory cabinet ministers were staying at the best hotels and flying first-class on government-owned jets instead of commercial carriers. "Despite the very sanctimonious lines that we have heard from this government about how they are morally superior to all others, there is now an accumulating body of evidence that it's very much a case of do as I say, not as I do," Liberal MP Ralph Goodale (Wascana) said yesterday. On the hot seat were Foreign Affairs Minister Peter MacKay, Indian Affairs Minister Jim Prentice, Agriculture Minister Chuck Strahl and Dan Dugas, director of communication for MacKay. MacKay was taken to task for flying to Rome on a government Challenger jet to meet with U.S. Secretary of State Condoleezza Rice and others about the crisis in Lebanon. "Many young bachelors like to rent a limo on prom night," said Liberal MP Yasmin Ratansi (Don Valley East) told MPs. "However, it is less funny when the minister of foreign affairs bills taxpayers $45,000 for a Challenger flight to Rome to see Condoleezza Rice. "How does the minister justify spending $45,000 on his Conservative flying limousine when there are 11, I repeat, 11 commercial flights daily which would have cost a total of $2,933 per person?" Dugas told the Star there was an emergency meeting in Rome last July during the Lebanese evacuation crisis and "that's the only way we could get to a crucial meeting on time." He said MacKay then attended another meeting in Kuala Lumpur, which Dugas did not attend. 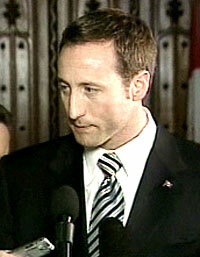 Dugas came under fire for flying alone back from Rome on the Challenger at a cost of $23,000, according to the Liberals. "He (MacKay) returned from his trip on commercial flights but rather than let the Challenger fly back empty from Rome and charge taxpayers for a one-way commercial ticket to Canada for myself, I took the Challenger," Dugas said. On a trip to Washington last April to meet the U.S. Secretary of Agriculture, Strahl and four staff members stayed at a high-end hotel at $540 a night. "When farmers desperately need income support, which hotel do we think the high-flying agriculture minister checked himself into? It was no less than the luxury Ritz-Carlton Hotel ... but he does get a complimentary shoeshine," Liberal MP Wayne Easter (Malpeque) said. Looking down at his shoes, Strahl said, "Maybe I ... should have taken advantage of that shoeshine at the hotel. I did not realize that they offered such a thing" and proceeded to slam the Liberals for ripping off Canadian through the sponsorship program. In June, Prentice racked up about $2,600 in hotel bills in Washington. "The Minister of Indian Affairs says that money is not the answer to the child welfare crisis in first nations communities. That is rich given his own spending habits," said Liberal MP Gary Merasty (Desnethe-Missinippi-Churchill River).